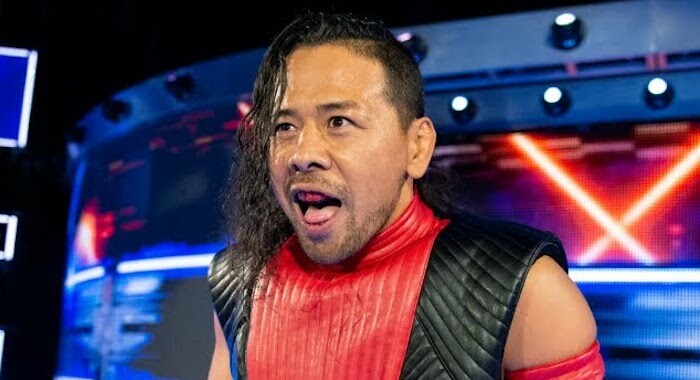 During tonight’s WWE SmackDown Live the United States Championship feud between Shinsuke Nakamura and Rusev intensified a little more. Rusev was interviewed earlier in the night guaranteeing that he will get his United States Championship back when he gets his hands on Nakamura and the champion retaliated to him later on. Nakamura shared a video package of highlights from Rusev on Total Divas, stating that he isn’t scared of him, calling Rusev a Total Diva. In the opening match of tonight’s show, Naomi faced her friend Asuka for the SmackDown Live Women’s Championship and despite coming up short in the match, eventually tapping out to the Asuka Lock, but in a post-match interview, Naomi stated she is ready for another shot down the line. The Miz teamed with Mandy Rose on SmackDown Live tonight in a winning effort against R-Truth and Carmella and following the victory The Miz stated he hopes that his “co-bestie” was watching.